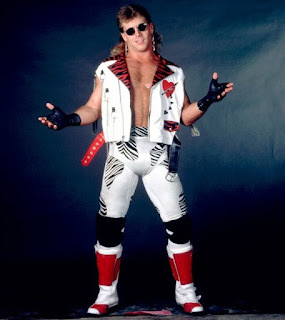 Now, for those of you who are familiar with the old WWF days, you know that Shawn Michaels got his humble beginnings in the WWF as a tag team wrestler with Marty Jannetty in the Rockers. However, the path Shawn took going from tag team wrestler to a singles competitor was never easy, but one that is almost unparalleled. After lack of success with Marty in terms of tag team gold, Shawn split from him in the infamous barbershop incident that took place. 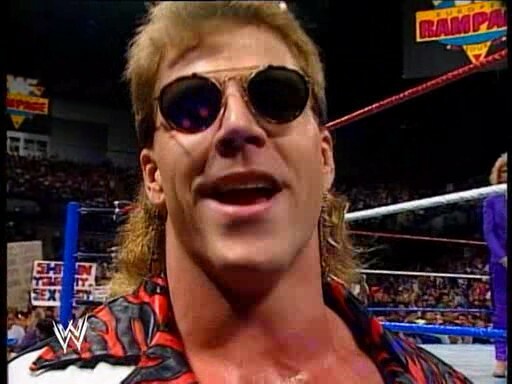 Now, Shawn was always seen as the better of the two Rockers and Vince seemed to favor him due to perhaps his look and maybe his god awful mullet, but whatever the case, Shawn seemed to be the guy that the top brass in WWF enjoyed. He would struggle initially as a solo star, though he was given the huge opportunity to work with Sherri Martel, otherwise known at the time as Sensational Sherri, legendary manager. Once Shawn got with Sherri, his career started shaping up even better. Sherri would sing Shawn's theme music and soon Shawn began carrying more confidence in the ring and with his persona. 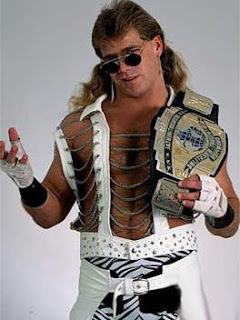 After some months with Sherri, Shawn would go on to become the Intercontinental Champion, which was always a big feat during this time because the IC Champ usually went on to become the WWF Champ. 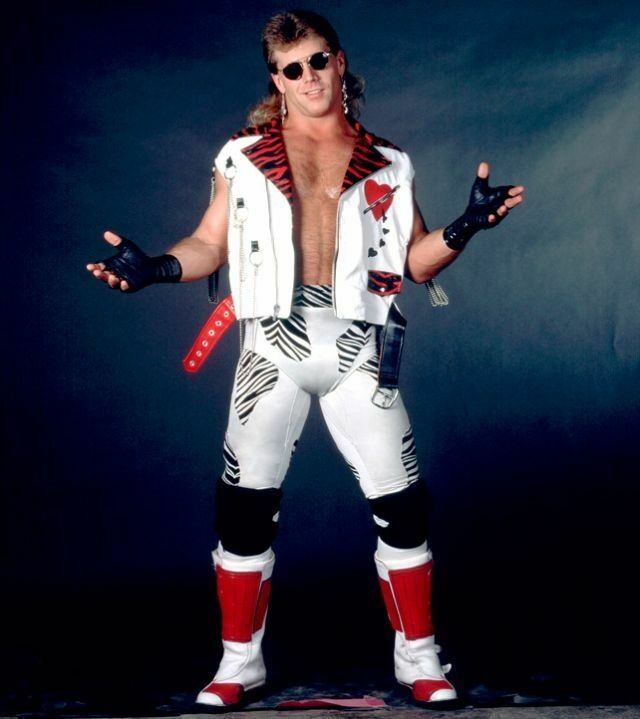 After a great match against Bret Hart in the main event of Survivor Series 1992 for the WWF Title, Shawn would continue his ascension to the top as he would engage in a post Wrestlemania feud with Marty Jannetty that saw them trade the IC Title. Marty wasn't necessarily the most reliable guy, so their feud was off and on for the better part of a year or so, as Shawn would hold the IC Title for quite a while until he failed a drug test and would be stripped of the title. 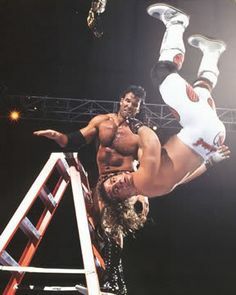 While this was unfortunate, it gave Razor Ramon a chance to capture the IC Title and set the stage for a huge match going into Wrestlemania 10. Shawn would end up getting some help as he hired Kevin Nash as his bodyguard Diesel and from there, history was made. The first formation of the Kliq began there and of course, Shawn and Razor, who were best friends in real life, would begin a monumental feud that led into the epic ladder match at Wrestlemania 10. It's been said that Shawn went out there and had a match with a ladder and there just happened to be another guy there in the ring. This was truly the turning point in his career, as Shawn was now seen as a big time player and his popularity began to rise. 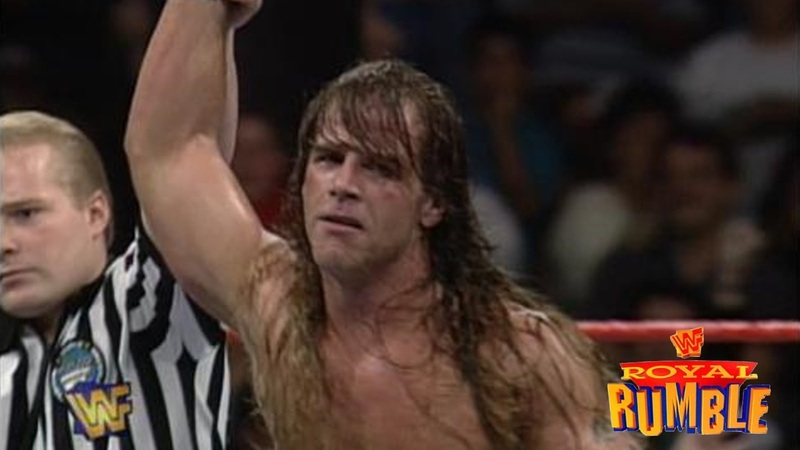 With Bret Hart paving the way, surely Shawn would be next up to win the title, right? Wrong. Shawn would be passed over for his friend Diesel, who was still pretty green and not able to draw yet, but he had the size and look that the WWF wanted. 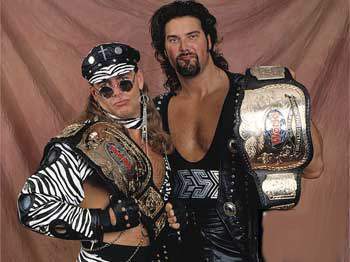 Diesel became WWF champ rather quickly and it would be up to Shawn to earn his way into the main event at Wrestlemania. 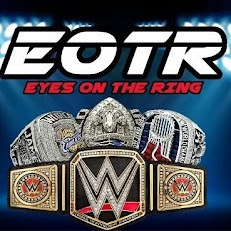 He did just that, garnering a huge Royal Rumble victory over 29 other men, going from the no. 1 spot all the way to the end, a rare feat for sure in the WWF. Shawn, after winning the Rumble had earned a main event slot, but his title match with Diesel was forced to take an unfortunate backseat to Lawrence Taylor vs Bam Bam Bigelow on one of the worst Wrestlemania events ever. Wrestlemania 11 was absolutely dreadful and I'd dare say that Shawn had the best performance all night and stole the show against Diesel. 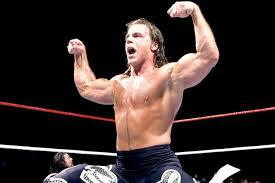 At this point, Shawn was one of the most respected performers in the ring, his position just didn't match that yet. YET. The year of 1995 saw Shawn slowly becoming the hottest thing in the business, as fans took to him and were amazed by his in ring ability. 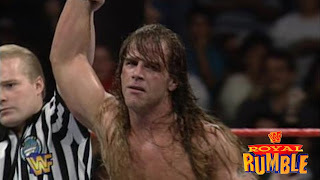 Shawn would go on to win the IC Title during the year, get his win back against Razor in a 2nd ladder match and finally set the tone for himself as 1995 neared the close. 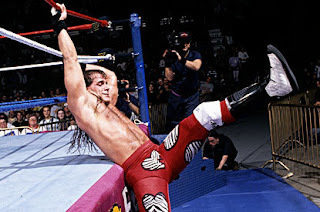 However, a storyline injury that left Shawn laid out from a kick by Owen Hart instantly fueled a comeback story that took him to the next level. Shawn came back from the "injury" and would return at the 1996 Royal Rumble, hoping to put his name next to Hulk Hogan as the only other wrestler at the time to win 2 in a row. Would Shawn be successful? Of course he was. Shawn ended up winning his second Royal Rumble in a row, earning yet another title match at Mania, but this one would take no backseat to anyone else. 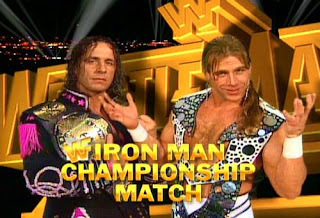 Shawn would be facing old nemesis Bret Hart in an hour long Ironman match in the main event of the biggest show of the year, Wrestlemania 12. For Shawn, it was the culmination of everything he had worked for over the years since he left the Rockers and became a solo star. 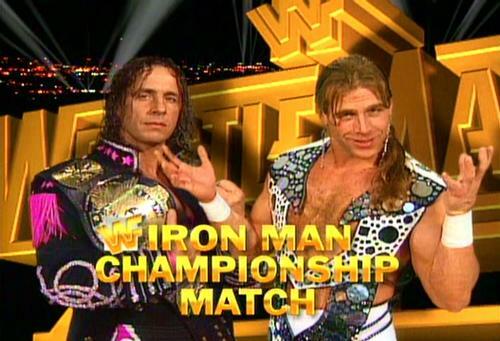 It was redemption for not being main event at Wrestlemania 11, and not winning the WWF Title. Now, a year later, here he was in the driver's seat as the challenger in the match that was billed to help sell the entire PPV. Shawn Michaels had arrived.